FRIDAY, April 4, 2014 (HealthDay News) -- Spending too much time sitting in front of screens may be linked to poorer bone health in teen boys, according to a new study from Norway. It included 484 boys and 463 girls, aged 15 to 18, who underwent bone mineral density tests. They were asked about lifestyle habits, including how much time they spent in front of the television or computer on weekends, and their levels of physical activity. Boys had higher levels of screen time than girls, the researchers found. And the more time boys spent in front of a computer and the TV, the lower their bone mineral density throughout the body. However, girls with four to six hours of screen time had higher bone mineral density than those with less than 1.5 hours of screen time per day. The study was scheduled for presentation Friday at the World Congress on Osteoporosis, Osteoarthritis and Musculoskeletal Diseases, in Seville, Spain. The findings also appear in the April issue of Osteoporosis International. "Bone mineral density is a strong predictor of future fracture risk. Our findings for girls are intriguing and definitely merit further exploration in other studies and population groups," lead author Dr. Anne Winther, at the Arctic University of Norway, in Tromso, said in an International Osteoporosis Foundation (IOF) news release. "The findings for boys on the other hand clearly show that sedentary lifestyle during adolescence can impact on [bone mineral density] and thus compromise the acquisition of peak bone mass," she added. "This can have a negative impact in terms of osteoporosis and fracture risk later in life." While the study found an association between teens' screen time and their bone density levels, it did not establish a cause-and-effect relationship. The skeleton grows from birth to the end of the teen years and bones reach their maximum strength and size in early adulthood. 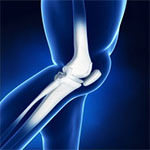 Nutrition and physical activity are major factors in bone growth. That's why there is growing concern over the effects of inactivity on youngsters' bone health, according to the IOF. About one in five men older than 50 will suffer a fracture due to osteoporosis, but levels of awareness about osteoporosis risk and bone health in males are extremely low, the IOF pointed out. This concern led the group to make osteoporosis in men a key focus of 2014 World Osteoporosis Day in October.